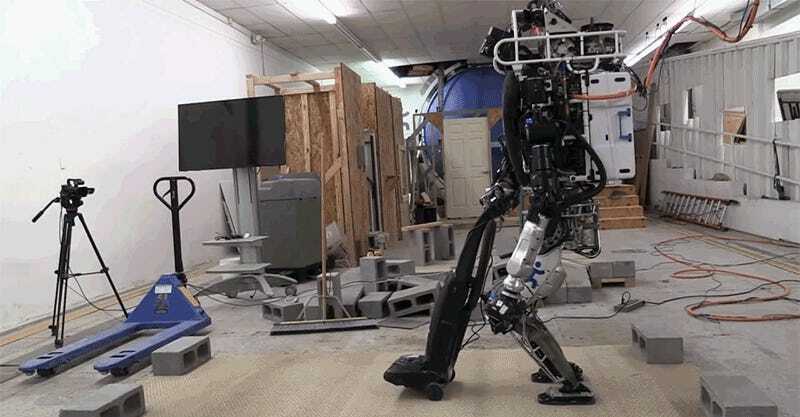 The DARPA Robotics Challenge put countless robots through a series of real-world challenges that involved driving, drilling holes, and climbing stairs. 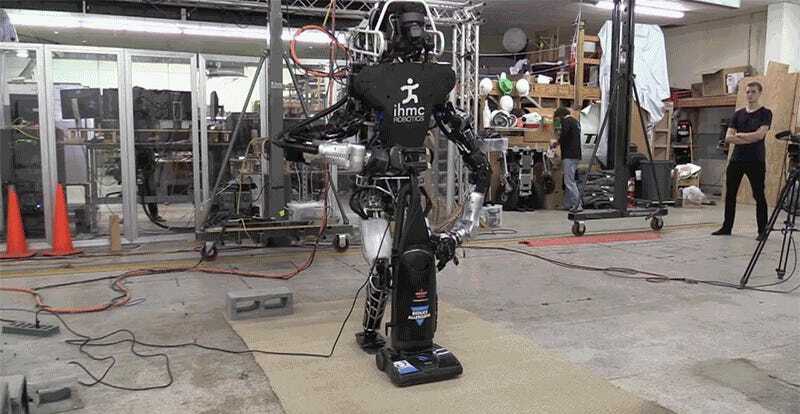 But let’s be realistic, the only thing any of us really want a robot for is housework, and that’s what ATLAS is finally learning. The Florida Institute for Human and Machine Cognition, or IHMC for short, actually did quite well at the DARPA Robotics Challenge. 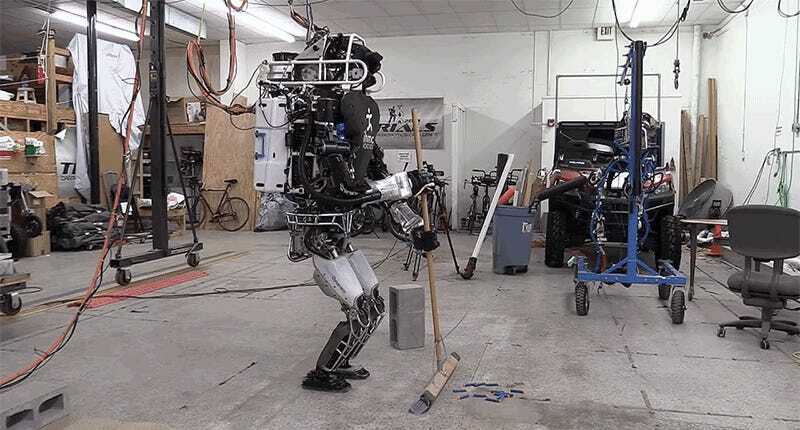 But as the team prepares for future challenges, they’re putting their multi-million dollar ATLAS humanoid to good use by slowly teaching it to do basic household chores. ATLAS now knows how to operate a broom and sweep floors. It can fold up random objects like step ladders and move them to a more convenient place five feet away. It also not only knows how to push a vacuum cleaner across a floor, it can even operate its tiny power switch without human intervention. 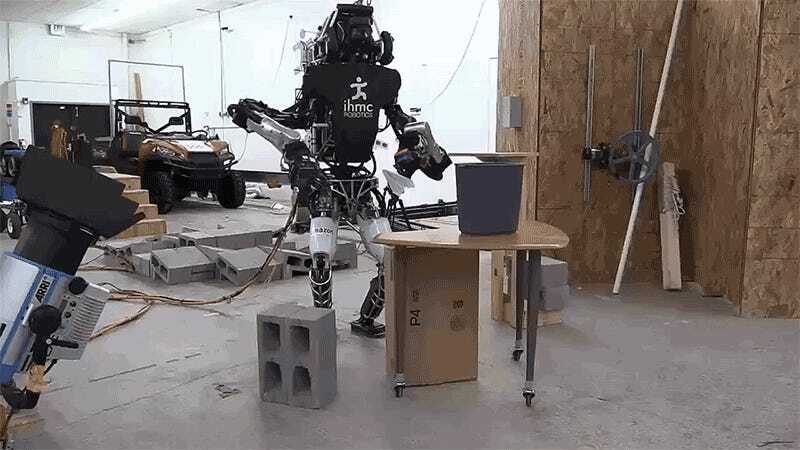 And revealing that ATLAS has learned to become more human than we ever could have expected, the humanoid can now even slack off when it’s supposed to be doing those chores, as is demonstrated by it tossing a paper airplane. Truly we have taught ATLAS to be too human at this point, and it’s time to end this research before robots eventually learn what a nap is.